The cherry blossoms are in bloom and Spring weather is finally here! It’s time to think about packing our chunky knits and furs away and bringing some lighter materials and pops of colour into our home. 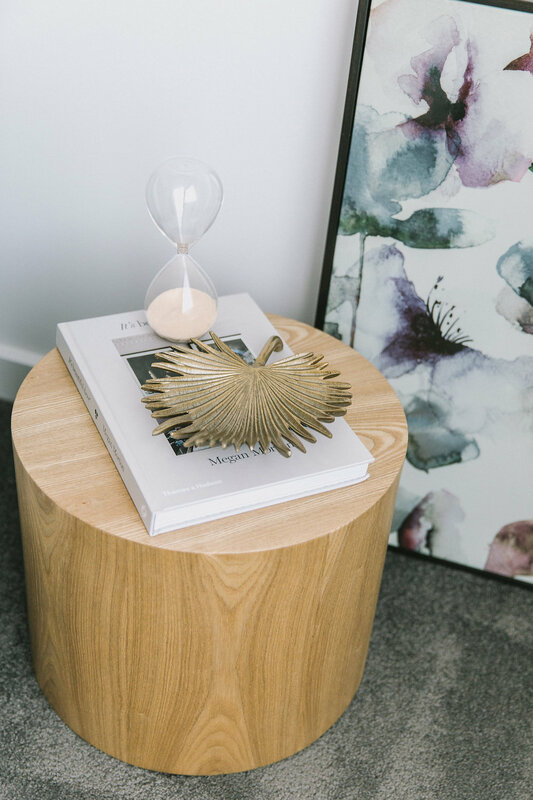 Canberra Outlet Centre is brimming with latest season furniture, homewares and art, and here are 5 Spring trends to embrace this season! The relaxed and natural boho style has made a comeback and it’s easier to achieve than you may think. Replace your throw cushions with those in a natural colour palette and look for textural details such as knotting or fringing. Woven baskets are a great styling accessory that can be used in a number of ways – here as a stylish pot plant basket. And finally, look for oversized floor cushions, like this one from Provincial, that make you want to dive into the space. This season’s ‘It’ colour is peach! Those who are shy with colour needn’t fear – oh-so-soft pastel peach and also muted dusty peach tones are all the go. Consider adding a peach cushion to your sofa or bed styling. Or why not play with some peach décor like this hourglass from Freedom? Another idea is to look for artwork that has a few pops of peach like this floral print by Adair. Each year there seems to be a different metallic trend to love and this Spring it’s brushed metallics! 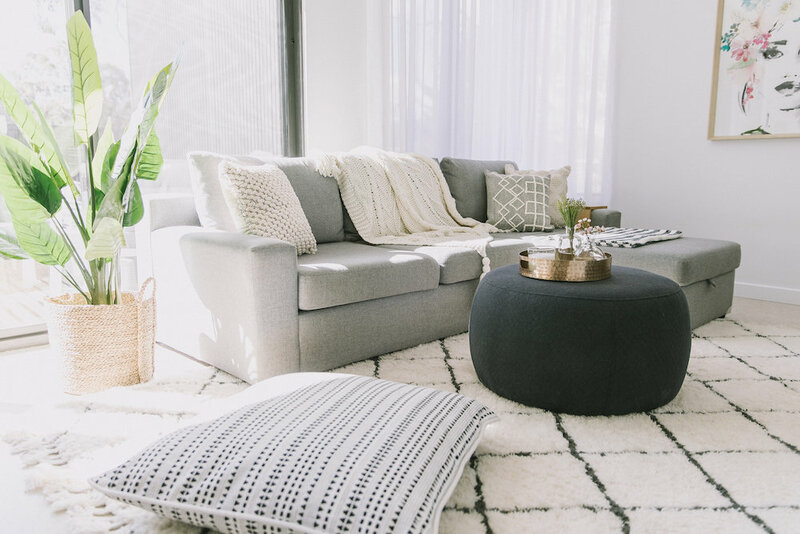 The overly polished and shiny décor that trended for years has stepped aside to make way for more textural and mottled metallic pieces. 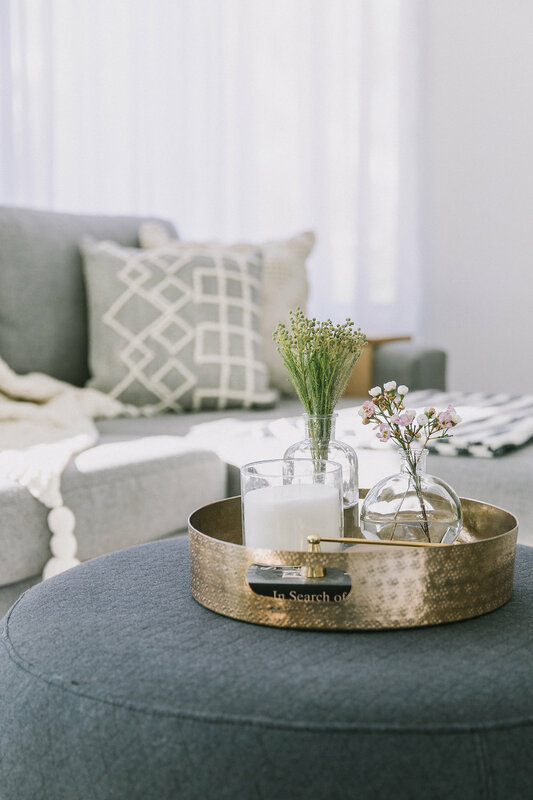 A décor piece in their own right, you could introduce a few pieces onto a coffee table or side table, or use them as trays to layer other items. 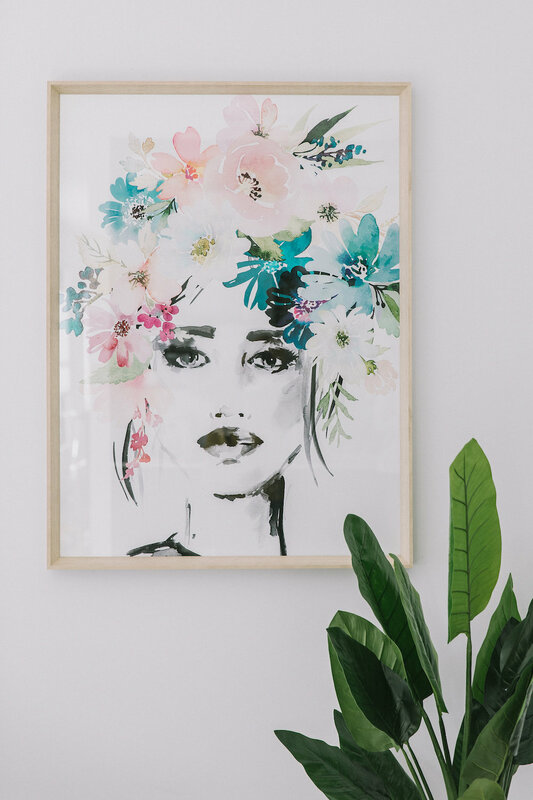 Nothing says Spring quite like flowers and there’s already a wide range of newly released floral art available at Canberra Outlet Centre. I couldn’t go past this abstract print of a woman wearing a floral flower crown (with pastel peach tones, no less! ), which comes framed from Early Settler at under $400. The final trend to embrace this season is greenery! There’s more choice than ever on stylish way to display indoor plants from hanging planters to baskets, ceramic vessels to terrariums. If you lack a green thumb, you’ll be happy to know there’s a huge range of realistic faux plants available now too (palms pictured are from Adairs). You can find the decor and most of the furniture pictured in this article at Canberra Outlet Centre. If there’s a specific piece you love and want to know where it’s from, just ask in the comments below and we’ll let you know! How do you like to update your home for Spring? Share your tips in the comments below.